Probably the biggest criticism of Christian Theology is the problem of evil and suffering in the world. It is the “catch-22”) of humanity. We want to have freedom of choice and we want to have God be in charge of everything… except ourselves. We want God to control our neighbors but leave us alone. We want to have our cake and eat it too… and can you really blame us? Sometimes, instead of humanity trying to bend God to our will, we submit, surrender, and put God in charge. Yes, it doesn’t seem to happen often enough, but it does indeed happen. Most of the time, it takes very little human effort to encourage us to make those decisions, and more self-reflection upon the path we are headed down. However, in spite of this pitiful effort (or lack thereof) from Jonah, one of the world’s greatest revivals broke out here. The entire nation repented, fasted, and prayed. They even made their livestock fast. Can you imagine the backlash that would occur if our own country – supposedly founded upon Christian principles were forced to fast and pray to God. Even our own Christians would throw a fit. Americans don’t fast. But the pagan Ninevites did, and God won them over with the worst example of preaching and pastoral guidance. Mark Batterson has a really good concept of this surrender and submission to God’s will. I have not read his books, but I have heard him speak about his idea of circle making. The short of it is that we draw a circle and pray for God to bring revival (think surrender and submission to God’s will) within that circle. More importantly, we do not start by drawing a circle around our neighbor’s house. We draw the circle around ourselves. Revival begins with ourselves. Jonah didn’t get this. But Saul/Paul would. Peter would. John would. The wonder of this all is that even when people do not get it, and refuse to let God come and change their lives, God still works in, around, and sometimes through them to bring salvation to those all around them. God is using us all as examples. That is His business and His way of keeping His all-powerful hand at the helm of creation. We have the freedom to choose whether we will be good examples or bad examples. 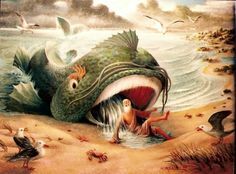 I can’t help but think that when the people of Ninevah saw Jonah puked up out of a giant fish upon their shores, they gave a second thought to whether they should ignore the threat of destruction from a God who was not afraid to treat even His own prophets with such creative severity. If Jonah, who was one of God’s people, faced that kind of gross discipline from God, what hope would a nation of God’s enemies had. 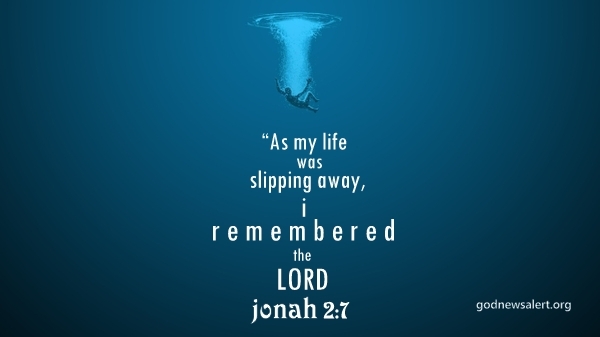 I think even Jonah’s disobedience added to the effect of God’s message to Ninevah. The cracks in the foundation of God’s power to work in this world only continue to show us that the world will not hold together without Him holding us together Himself. If God brought revival into your life, even in a small circle around you today, what would you have to submit to and surrender to Him? I think the heart of the story of Jonah is the world-changing power when repentance meets forgiveness. In the church we call that power grace and we have been singing songs about it for centuries. Grace stands in that middle place where the almighty power of God touches our frailness and brings forth greatness that we cannot contain ourselves. If you think religion and spiritual life is just a checklist, like eating healthy and exercising regularly, you are missing out on most of it. It’s a power of synthesis, when two spiritual entities collaborate to share existence, to work together, to act as one. 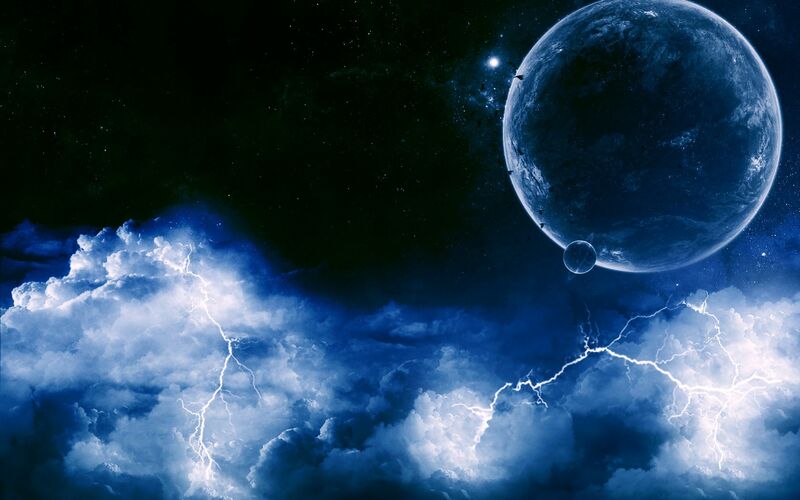 In science, when this typically happens between a greater and lesser being, the greater entity swallows up the lesser into is own being and the individuality is lost, the way we cannot see the raindrops within the clouds. However, even in science we see those hard rules of nature respecting this creative power of God. Those same clouds, as the heat is removed from them, distribute those unidentifiable drops of water as billions of snowflakes, each unique in its own delicate beauty. God knows those snowflakes and He knows us even more. We are not made without purpose. We all fit into creation in a unique way. God does not separate the value of the holy and profane, the special and the plain, the way we, in our prejudices do. He created it all, and while He often creates an abundance of more than is strictly necessary, He does not let His world go to waste. Case and point: even Jonah’s deliberate act of disobedience is redeemed and transformed into a story that has inspired the world to follow God for thousands of years. This is grace, where the science of how things should work together meets the art of working through the disconnections and conflicts – creating something even more beautiful because of the fragility of it all. In our efforts to see how our world was made to work, when we look closely enough, we see that the only way it works at all, is if God continues to hold us all together. If you closely enough at the struggles you face today, can you see God working to hold everything together even there? If God allows anyone to go hungry unnecessarily but has plenty to eat Himself, is it Gluttony? Before addressing the sin of gluttony pertaining to God, we probably have to back up and ask if God Himself even eats at all. The Bible doesn’t exactly say other than we know Jesus ate while He was here on earth. 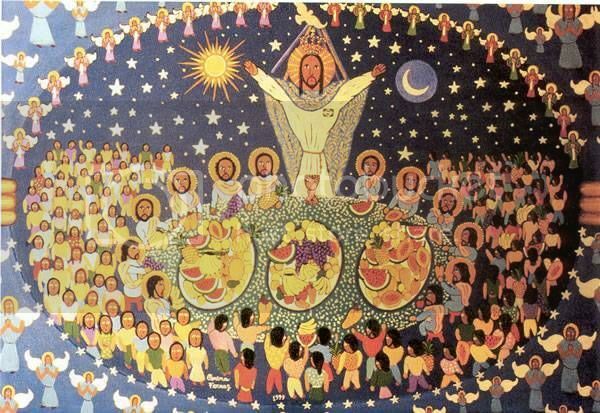 Much of the promises of a heavenly banquet do not come from images of heaven, either in the prophets or Revelation, but from the parables of Jesus, often initiated with the phrase “the Kingdom of Heaven is like…”. That phrase “is like” signifies the introduction of a simile: a logical comparison between two separate things. Similes typically focus on one main similarity while the other details between the two things may differ entirely. So, when Jesus says that the Kingdom of Heaven is like a wedding feast, we usually focus on the existence of a bride and groom and celebration of their union…not what kind of food they serve as the uniting factor between the wedding and God’s kingdom. God does not take food away from the hungry to feed Himself. He gives of Himself to feed the hungry. He teaches His people to do the same. Why are their people starving to death every day? Because we do not follow God’s example. We steal food from the poor every day. What? Steal food? Surely that is too harsh. I think not. My small hometown in Illinois has struggled to keep a grocery store over the last few decades. Not only is it difficult to keep people with vehicles from traveling to other cities where bigger stores sell greater variety, the food trucks themselves refuse to even come into town, out of their way, if they are not guaranteed a minimum payment – something that often exceeds what the people are able to purchase. Those who have money simply go elsewhere, but those who cannot afford to drive to the nearest city go without. Imagine that on a global scale where entire nations in Africa would love to purchase beef from Texas, but cannot outbid European or wealthier Asian countries. The availability of the food goes where the money is, and where there is no surplus of wealth, the people go hungry. The situation might be remedied if everyone worked for free and made sure every other person had food without payment. That kind of global socialism though would mean that you would likely have no choices in what you ate or how much you were given – something that would apall most western-minded people. We want our choices and we want to go back for seconds. That, my friends is the spirit of gluttony at work in us, not in God, who provides land, plants, and animals to the entire world. It is our choices that make some go hungry. Devote yourselves to prayer, keeping alert in it with thanksgiving. At the same time pray for us as well that God will open to us a door for the word, that we may declare the mystery of Christ, for which I am in prison, so that I may reveal it clearly, as I should. Conduct yourselves wisely toward outsiders, making the most of the time. Let your speech always be gracious, seasoned with salt, so that you may know how you ought to answer everyone. For Paul, who knew what it meant to go hungry and to have limited food options, the focus was on gratitude, contentment, and sharing. Words and deeds were opportunities to either reflect the selfless giving of Jesus Christ or the self-centered nature of sin. He commended the early Christians to be examples of the love of God, not examples of gluttony in our world today. How do you show your gratitude for the life God has given you? What luxury would be hardest for you to give up? Who can you bless by giving to or sharing with them today? It was not the first time Jesus had this discussion with them. At the beginning of their time following Him, Jesus had told them there would be a cross involved. They would suffer, as He would suffer. This was not the second time either. This was the third time He sat them down and explained what was going to happen in Jerusalem, and now it was almost too late to turn back. They had spent 3 years together trying to get to this place, and here they were in the home stretch. Jesus was preparing them for the big finale. Yet somehow it took them all by surprise. Why was that? As wild as our imaginations can be sometimes, they are all fairly limited to recycling material we have seen before. I find it oddly humorous to note the number of television episodes that are based on real life situations. We cannot invent enough new crimes for late night TV so we borrow from the local newspaper and spice it up a bit. Then someone watching that program is inspired to commit a crime of their own based on that, with a twist. They end up on the internet news the next day and the TV writers have new material to work with. It’s an endless cycle of rehashing the same old stories. All that to say, when it comes to imagining totally new things, we are not so good at it. So when Jesus tried to explain that victory over sin and death would come from a cross and that new life for everyone would come when He was brutally executed… well, remember these people had never seen movie special effects. I’m sure they passed it off as something to be taken spiritually or philosophically, but not literally. I mean, even for those who actually saw it all happen, most could not even believe it then. A few months ago I had the privilege of riding on an airplane during a thunderstorm. It was Incredible watching the lightening bounce from cloud to cloud, so high up in the air. It struck me then, like it must have struck the first astronauts about how few people in the history of the world had ever seen what I was witnessing right then and there. Seeing something as simple as lightening expanded my beliefs about what God can do. What about you? What has Jesus told you that you may have to see to truly believe? Can you walk with Him a little further today, even if you cannot see the big picture yet if where He is taking you? There has been a lot of wind blowing this year. I can remember hearing just a few short months ago about the rally’s put on by Bernie Sanders supporters as well as those by Trump supporters. It seemed like everyone was talking all at once. As we reached and passed through the primaries though, I have noticed a little bit more vacuum out there in social media that formerly was filled with another dozen candidates who felt a legitimate claim to throw their hats into the three-ring circus that had become our presidential election. There is certainly plenty of commentary on both the Republican and Democrat nominees for president, as well as several third and fourth party candidates. But I can’t shake the feeling that the bulk of our nation is holding it’s breath. We have had the intellectualism. We have had other things as well. Around almost every turn there has been someone attempting to “speak truth to power”. That charade has gotten pretty ridiculous. Mother Theresa, who just recently was canonized , may have been one of best examples of that kind of leadership in my lifetime, and I suspect that she was able to lead the way she did because she followed the example of Jesus. What is that example? He kept his priorities straight doing these five things and keeping them in order. He started at the root of the problem. He cleaned up the consequences, leaving the place better than He found it. Then, He spoke truth to power. This is more than having actions that back up your words. It is about your actions leading your words. This description of the beginning of Jesus’s ministry here in Mark really shows a leader who was going out to change the world with His own two hands and who would routinely stop to talk, primarilly to articulate what He was doing, in case people were confused or unaware. He did not seek out the leaders in order to correct them, because many of those leaders were not the ones facing the actual problems themselves. Jesus gained His authority and the title of “Good Shepherd” not by preaching and teaching to a group of failing shepherds, but by actually getting out and working with the sheep Himself. 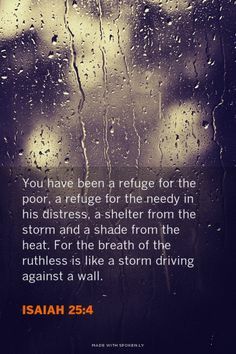 In a culture where people found it easier to criticize one another rather than actually get up and do some good, Jesus ignored all the hot air and got to work. That was what gaave Him authority with the people. Yes, He was God in the flesh and probably had a look that pierced right into your very soul, but the truth still stands that when God came to earth in the flesh, He went to work making a difference and kept His priorities straight instead of playing around and serving Himself. He knew He only had a limited time here, and He intended to make the most of it. There is very little about the example of Jesus that we cannot follow. All of these things that He did in the beginning of His ministry with us, the apostles and the people of the early church did as well. Perfectly? No, but they worked and served and gave their lives as an offering to God because they too understood that they were only here for a limited amount of time and they wanted to use whatever they could to please God and to make this world better. We are no different today. We spend our time, energy, and resources desperately trying to get people to like us, be it in our buildings, our programs, or by just being a friendly group of people. The sad reality is, if we disappeared, most of our neighborhoods wouldn’t even notice. The missionaries in Africa, Asia, and South America – they would be missed immediately, because many of them are doing ministry and leading change just like Jesus did… but we in America are another story altogether. It is not about relevency. It is not even about effectiveness. We’ve just been trying to put the cart before the horse and grasp at authority before we prepare ourselves for what we are going to do once we have it, and long before we actually get out into the community and start doing something to make a difference. It leaves us barking up the wrong trees and spending our lives fighting symptoms and never getting to the sources of those problems. God didn’t design ministry that way and it doesn’t work. In the end, we simply become another set of reactionaries fighting to maintain their own hold on their way of life – like every other empire that came before us. We too, will become museum-like institutions, while the real ministry of Jesus, bringing hope and help to our world, showing them Jesus, and inviting them into the Body of Christ will carry on.